Meet, chat and taste with our in-house experts and mixologists at this casual seated tasting. Learn about origins, processes, and styles. 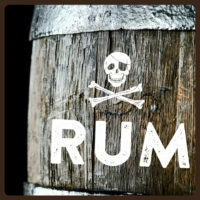 Discover characteristics that make great rum. Leave with cocktail recipes and, most likely, a new favorite. What To Expect: With this casual seated event you will taste alongside others in a fun, and social environment led by our professional instructors. Our classes are approximately 2 hours during which you will enjoy spirits and small bites our chef has created to pair with each.